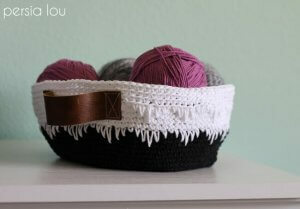 This post was originally shared by Persia Lou on Craftaholics Anonymous. This post contains affiliate links. I think I’ve mentioned a few times that I’m working on giving our master bedroom an update. We bought paint about a month ago to repaint, but so far it is still sitting in the garage. Anyone want to come paint for me? Nobody? Anyway – it’s a slow process. 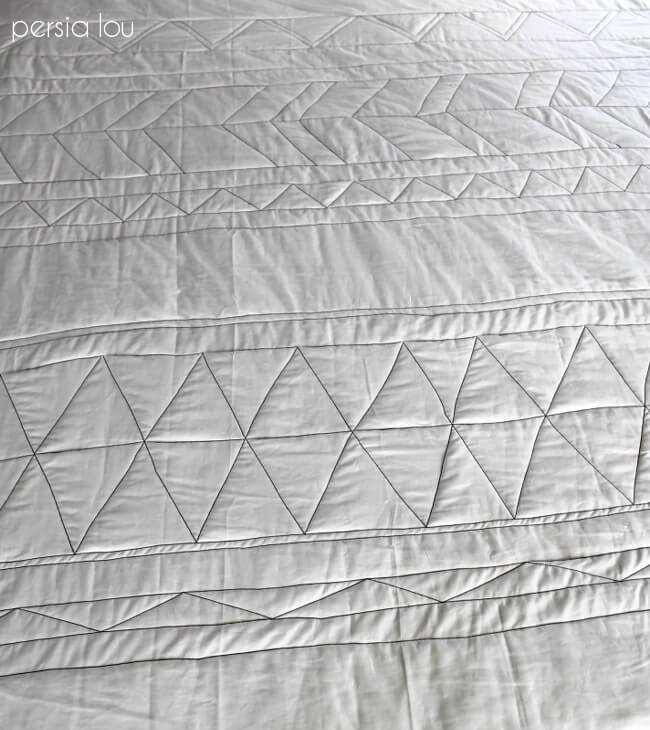 But one of the projects that I have crossed off my list is a new quilt for the bed: a No-Piece Geometric Quilt. I am really happy with the way this little quilt came out. It’s simple (because the quilt top and backing are both just solid pieces of fabric), but still has lots of interest and texture that comes from the quilting. 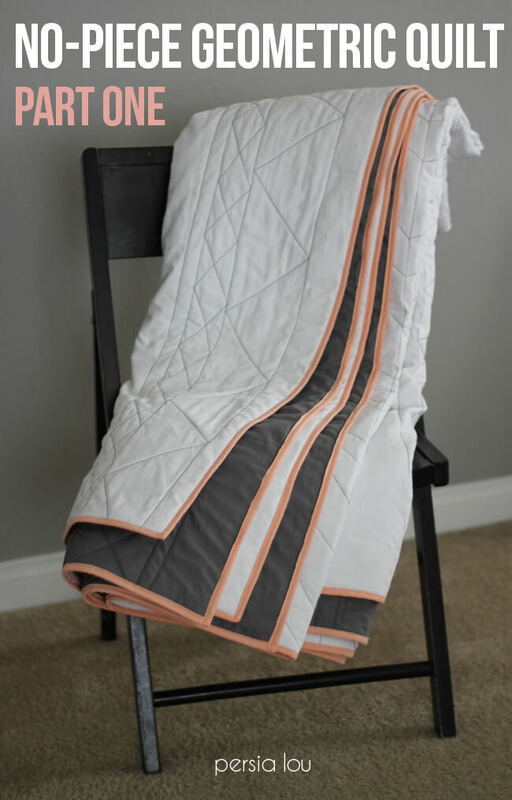 Now, listen guys, I’m going to tell you guys that this quilt is easier than other quilts that I’ve made in the past, and that’s true, but it is also a king-size quilt, sooooo – it’s going to take you more than an afternoon to knock this bad boy out. But I think it will be time well-spent. 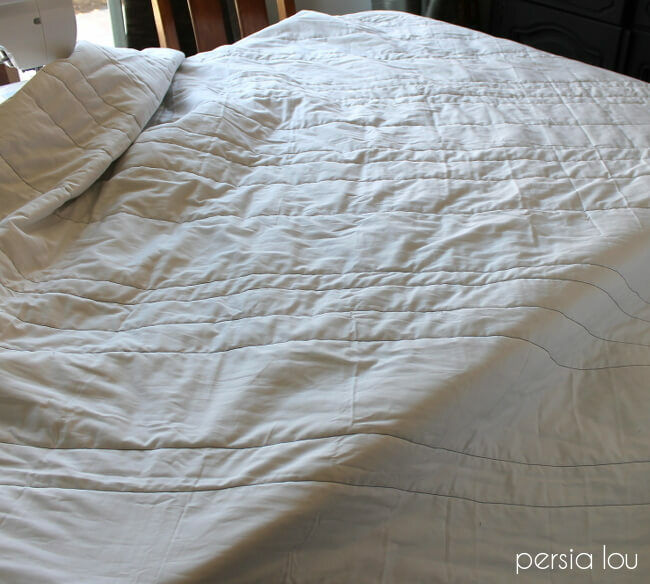 The trick to keeping this quilt absolutely no-piece is using flat sheets for the quilt top and backing. 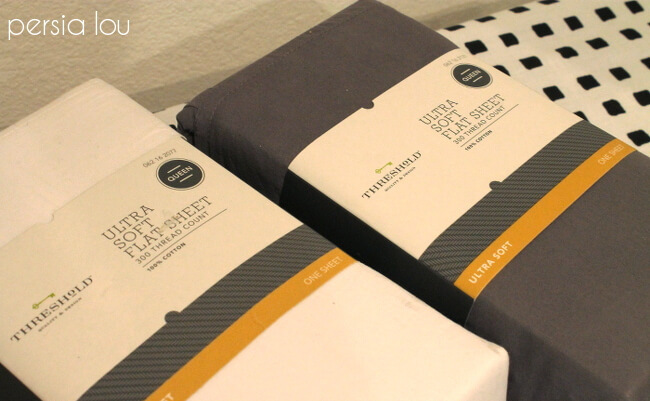 Originally, I thought I would have to buy king-size sheets, but when I was looking at flat sheets, I noticed that the queen sheet’s dimensions were 102’x94′, which was just a few inches off of the 106″x94″ size of a king-size quilt. Buying the queen-size sheets saved me a few dollars and some time trimming off excess fabric. Score! I chose a white sheet for the quilt top and a gray sheet for the quilt backing. 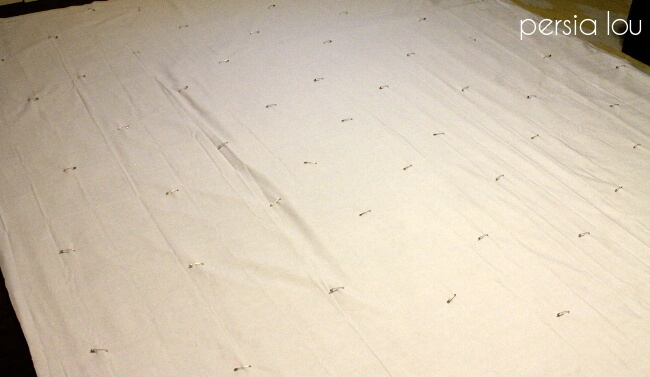 To prep the sheets, start off by trimming the small hems off three sides of each sheet. 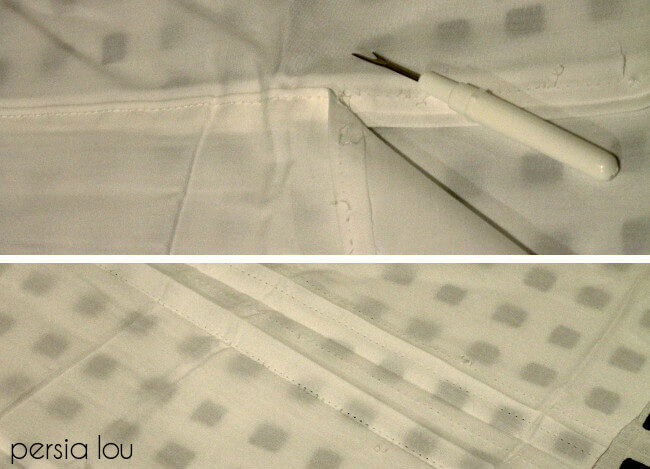 To get a few more inches of length, use a seam ripper to undo the wider hem on the last side of the sheet. This should give you about five more inches of length. 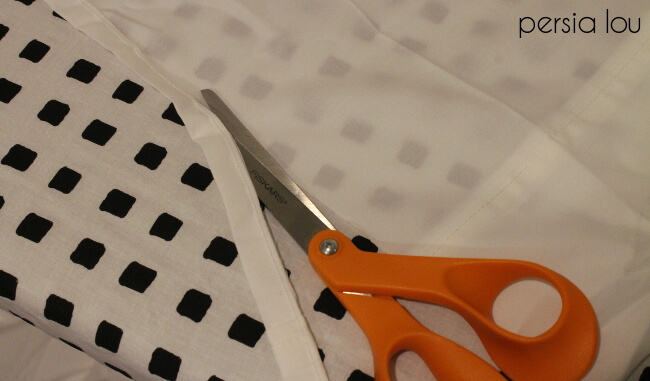 Now your quilt top and quilt backing are all ready – easy peasy, right? Make your quilt sandwich, by stacking the quilt backing (gray sheet for me), the cotton batting, and then the quilt top (the white sheet). Try to smooth this all out so you don’t have any lumps or wrinkles. Trim the batting so that everything is roughly the same size. Next, it’s time to baste your quilt. I used large safety pins spaced about 6-8 inches apart. This will keep everything in place while quilting. After the quilt sandwich is basted, it’s time to get quilting! 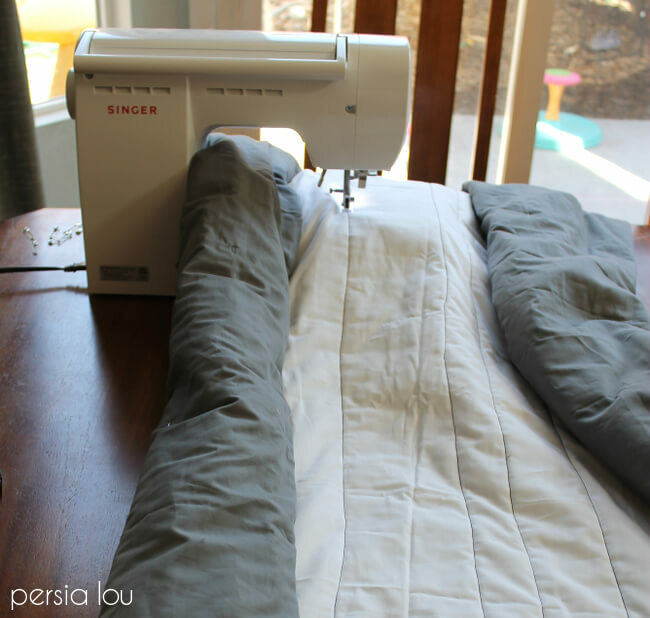 To make the large quilt easier to work with, I recommend rolling both sides of the quilt up. Since I wanted the quilting to be the main design element of my quilt, I chose black thread to contrast with my white top. 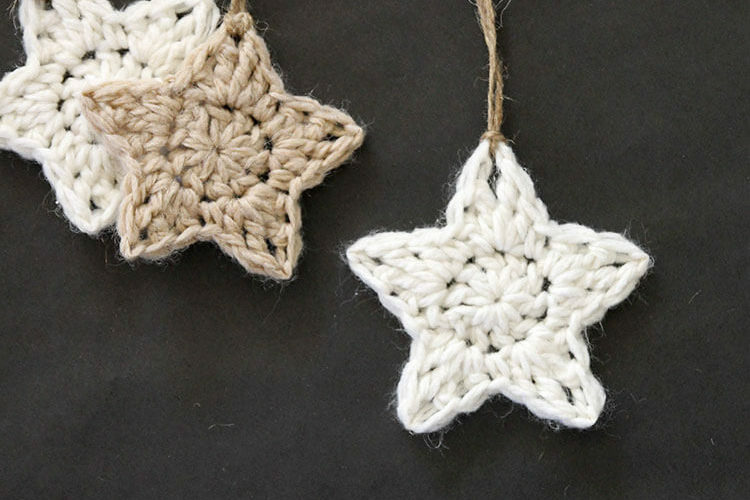 If you want your stitching to be more textural, try a matching thread. 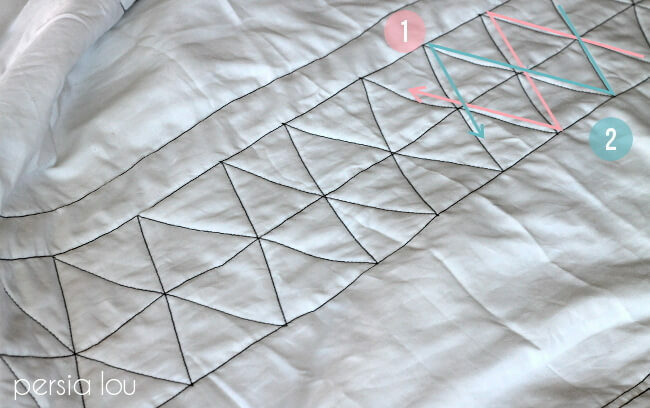 To create a geometric quilting pattern like the one I created, start off by quilting horizontal lines across the quilt at various intervals starting in the middle of the quilt. I tried to keep the line as straight as possible, but since I don’t mind imperfections, I didn’t stress about it. If you are more of a perfectionist, you can use a ruler and chalk or an erasable fabric marker to mark the line first. After stitching the first line, stitch the rest of the lines working out towards the edges of the quilt and keeping all the lines parallel. The lines in my quilt are spaced from one to six inches apart. I just varied the width as I went, and then went back and filled in any particularly empty-looking spots. Remove the safety pins as you come to them. Pretty soon the entire quilt will be filled up with parallel lines of stitching. Next, it’s time to go back and fill in all those lines with triangles, crosses, diamonds, and other geometric shapes. This gives the quilt a lot of texture and interest. 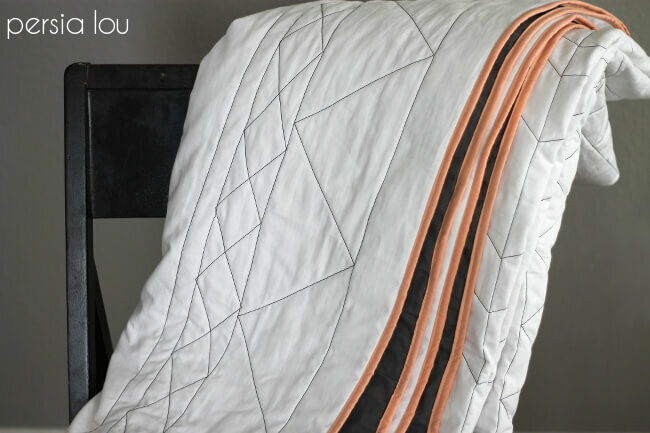 All of these varieties of shapes and patterns are made using the same basic technique of a zig-zag stitch between the horizontal quilting. Starting at one of the lines of horizontal stitching, stitch at an angle to the next line of stitching. 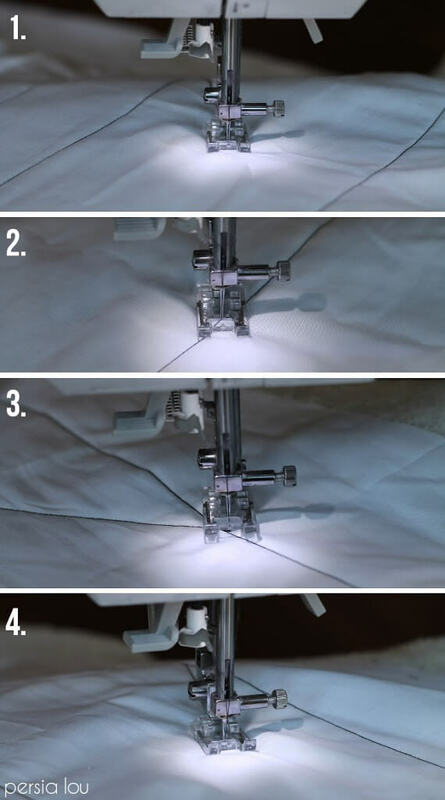 When you come to the next line of stitching, stop with the needle down in the quilt. With the needle still down, lift up the foot and turn the quilt so the foot is facing back in the direction you came from. Continue on to the other line of stitching and repeat. I had a lot of fun playing around with variations on this stitching pattern, and I am really happy with how it ended up. Love all those fun zigzags and triangles. 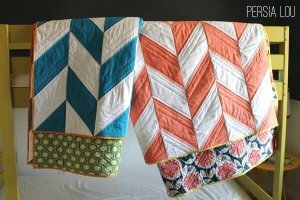 Looks great and you have patience of a saint to do a king size quilt! Oh I love this Alexis! I have &quot;quilt more&quot; on my deployment bucket list. 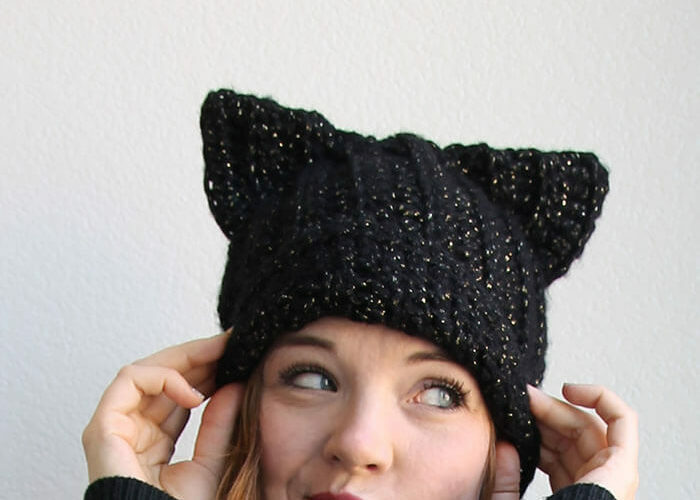 This one is so perfect! This is amazing! The patch/piecing together is what intimidates me about quilting… I think I could attempt this one. 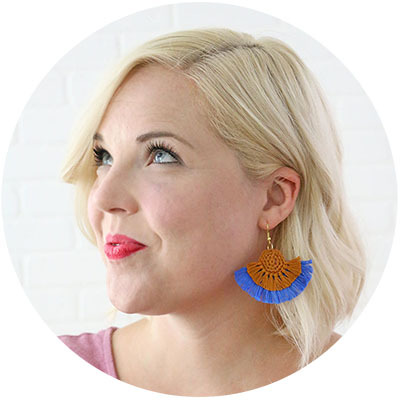 Plus, geometric… who wouldn&#39;t love it? Genius! Why didn&#39;t I think of that??? Love, love, love this! It&#39;s so simple and clean. This is totally my kinda quilt! I tried the piecing thing once, but we just couldn&#39;t play nicely together. Maybe if I tried a toddler sized one of these I&#39;d have more success. Awesome job Alexis!